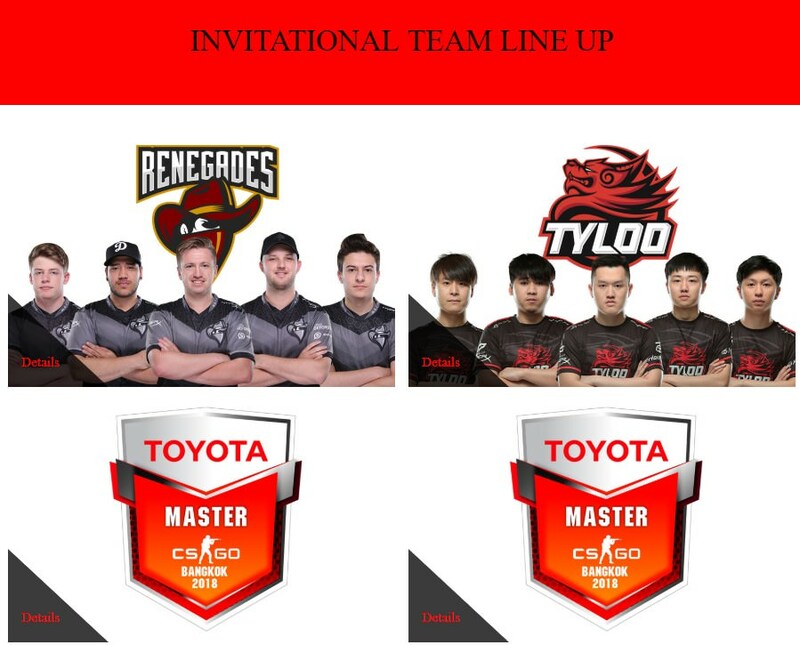 Toyota Master CS:GO Bangkok 2018 has confirmed today that TyLoo will be the second team to receive a direct invite to the tournament. The competition featuring a $100,000 USD prize pool has now confirmed two of its four direct invite slots via Renegades and TyLoo. TyLoo's direct invite can be partly credited to their performance at the ongoing Faceit major where they have most recently taken down MIBR. While this direct invite is surely going to turn a lot of head towards the competition, there are people still confused with the decision not coming in favour of Cloud9 after the organizers dropped a very convincing post on their Facebook page a couple of days back. Stay tuned as we see the remaining direct invite slots being booked while the qualifiers are scheduled to take place shortly.